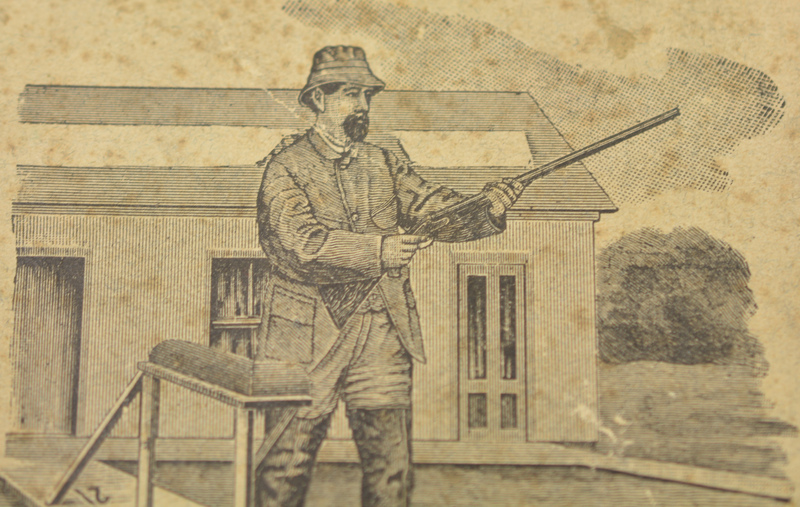 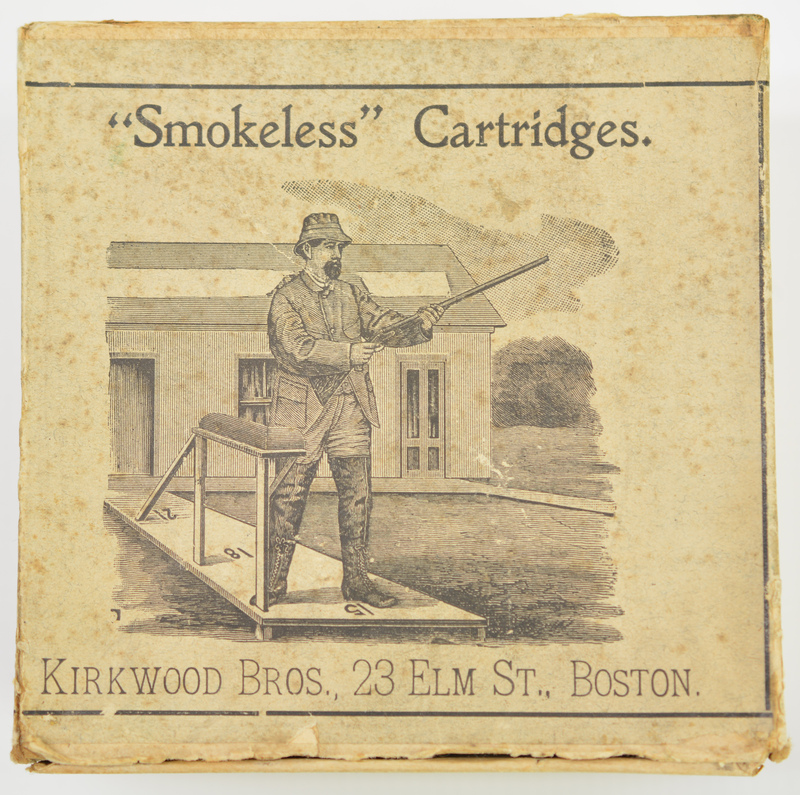 Description: This rare box features a trap shooter on front with Boston address. 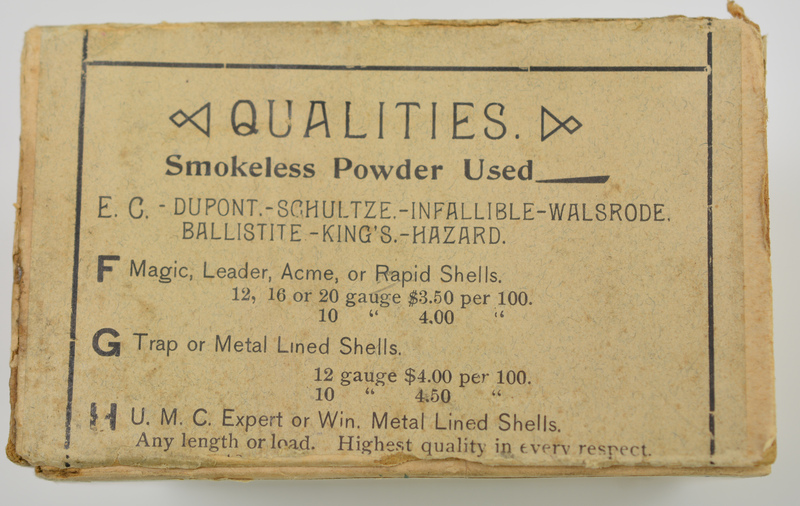 This 12 GA box was loaded with Magic shells, DuPont #3 powder, 1 1/8 oz #2 chilled shot. This box came from the Dominion Arsenal collection and is dated Nov 30, 1903 on bottom. Kirkwood Bros made shells from 1902 to 1950. Box is empty and remains in very good condition with light soiling and one side of top missing. 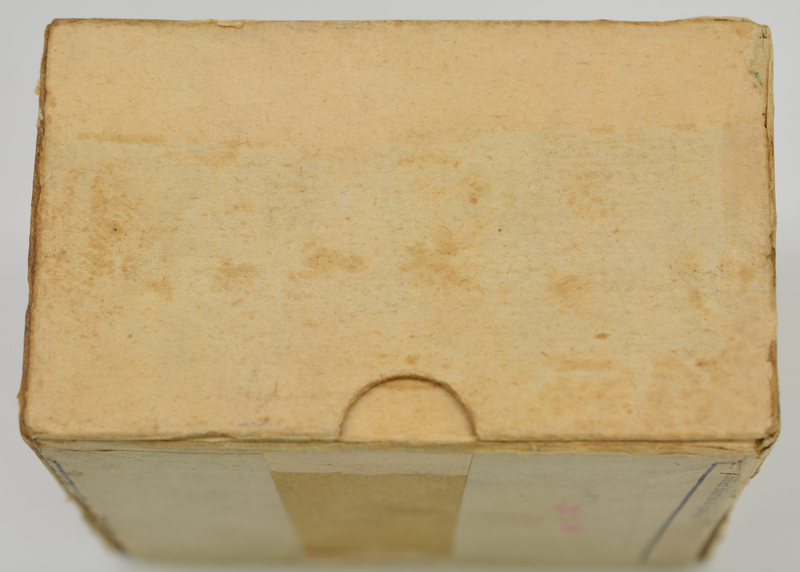 97% of label is present with most loss around sealing area at bottom. 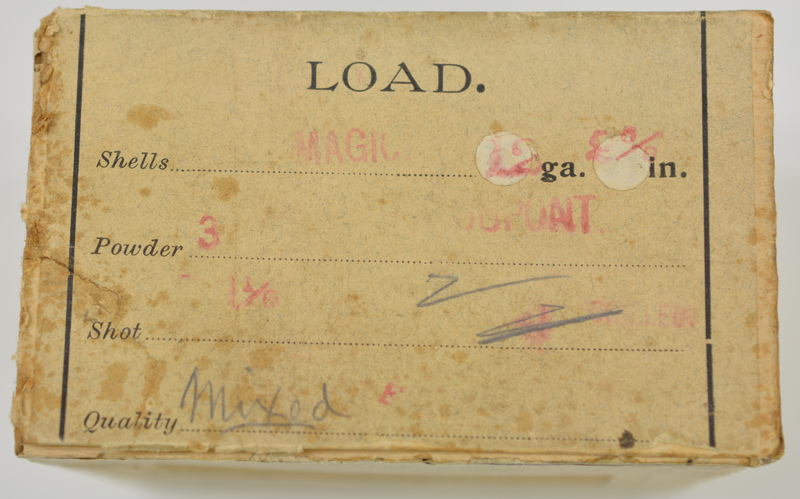 A very rare box for the advanced collector.